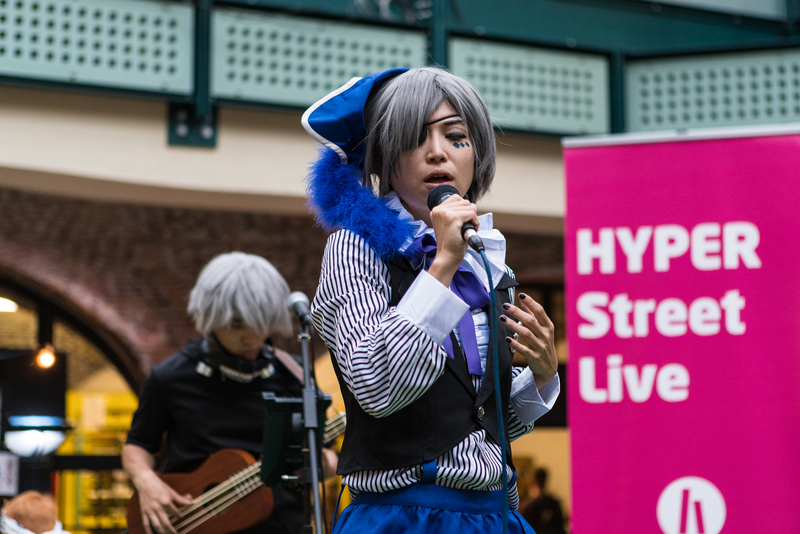 HYPER Street Live is a series of performances encompassing dance, song and musical instruments taking place at the HYPER JAPAN Festial 2019 from 12-14 July. 1) There are no age limits, but those under 16 will need signed approval from a parent or guardian. 3) Entry is open to UK or European visa holders, or those who can prove they have the right to work in the UK. 1) No Power Supply, participants should bring thier own equipment. 2) Changing facilities are available, but participants must take responsibility for looking after their own valuables. 3) Support staff will not be provided by the organizers. 4) Organizers will not bear any extra equipment, travel or subsistence costs. 5) UK or European visa holders, or those with the right to work in the UK, may accept money from visitors at the event. 6) Performances should be “Japan-themed” in terms of music or costumes. 8) We reserve the right to advertise performances in advance on our website or social media. We are planning to have the carpeted area in a passageway of the event venue. We will do everything we can to meet your requests, but we ask that you bear in mind all the points above. The following two fields pertain only to those who plan to sign-up as part of a group. Please add each member in a new box using the + button. I understand that photographs taken of me during the HYPER JAPAN can be used by Cross Media for any reasonable use. Use of the photographs may also be sold, granted or transferred to third parties at the discretion of Cross Media. I have read and agree with the HYPER Street Live rules. I am over 16 years old. I am a UK resident, EU/EEA national, or non EU/EEA national with the right to work in the UK. I understand I have to attend all the time slots I chose.